Smicksburg is one of the smallest incorporated boroughs in Pennsylvania. Population: 46. Forty-six “English,” that is. Surrounding the borough is a community of roughly 800 Amish. If you live in western PA for more than 5 minutes, you grow used to seeing the Amish walking down the road, riding in their buggies, grocery shopping, working on construction sites, or manning vegetable or bakery stands at farm markets, even in the heart of Pittsburgh. So I was in Smicksburg with the Irishman the other day, buying a birthday gift for my daughter (Smicksburg is known for its quaint shops and killer fudge). Driving the back roads home, we came across this pay phone in…quite literally…the middle of nowhere. What seems random and a throw-back to 1982, this pay phone is a lifeline for the Amish community. It connects those in need of emergency assistance with the people who can help. It just seems out of place to those of us with cell phones and Wi-Fi. There continue to be times in my weight-loss and weight-maintenance journey when I need help in the middle of what seems like nowhere. Those times when I feel shame or guilt or self-loathing. You know, the stuff you don’t want anyone to know about. I know I’m in the middle of nowhere when food seems like the answer or I can’t get past a plateau or I need help accepting my body as it is right now or when I just need someone to say, “Lynn, I believe in you” when I don’t. I’m making this photo my screen saver to remind me that I am not alone. All I have to do is “call,” and my friends and community will be there. My mediation and exercise will sustain me. What reminders do you keep handy to help you remember that you are not alone when you feel stranded in the middle of nowhere? This entry was posted in Mindfulness, Weight Maintenance on March 17, 2014 by Lynn Haraldson. Awesome image and great reminder that help is just a 'call' away. If our Amish work outside the home, they have cell phones. They also use any machines/devices at their jobs. They can have machines at home as long as they are hooked up to a generator and not “the grid”. The farms start less than a half mile from my house. So Amish are everywhere I go. Huge Mennonite population too. We actually have 100 different languages spoken in my town. Huge pockets of immigrants from nearly everywhere one can imagine. Slightly weird for indiana I know. It started because we have a very high percentage of churches and they have helped refugees over the years who then became a productive part of society. The thing that always amuses us about our Amish is we understand them perfectly. But when we have any company from out of town, they can't understand a word they say. My house was built by the Amish and you can tell in the details. Hand turned pieces on the stairwell. Tons of built ins. A most wonderful pantry. They made use of every board. All still have big wood burning stoves (heat and cook). The most common machines are washer (then hang to dry) and deep freezers. Men often have shops with electric tools if that is their livelihood. They have company sheds which are very large dinning rooms. They still have sleeping porches to beat the summer heat. Our Amish travel hugely. All over the country. English driver or buses. Each (married) woman has her own carriage and horses. Each carriage is distinct (to them). They can tell who everyone is by a glance at the carriage or horse. Carriages and clothes vary hugely from area to area. We can tell at a glance if someone is our Amish or is visiting/traveling from another area. They have many, many schools in our area so the kids do not have to travel far in the winter. Some do go to the English schools too. Wow – this was a short, but powerful post. For me, the biggest reminder I have is that I don't have to be perfect, but I do have to move forward. I have to stay calm and not get emotional. I'm quite new in my own journey to get the weight off, but these are the thoughts sustaining me right now. Great analogy. It's amazing, even with as far as we travel in the weight loss journey, we still find ourselves in the middle of nowhere, not believing in ourselves. It does take reminders to remember that we can ask for help, and there's nothing wrong with that. Thats awesome!! 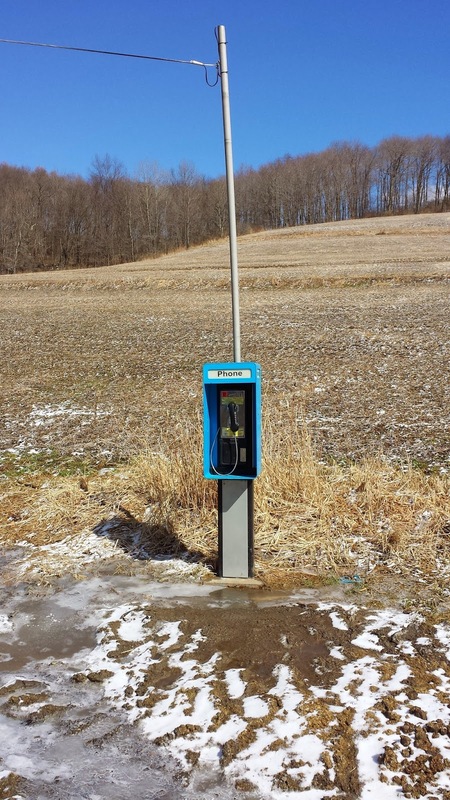 Our amish have their payphones in side a small shanty…. Thats where I hide when I really want to connect to connect to the outside world, but Im afraid to pick up the lifeline!! Some of my current friends are lovely but are gentle saboteurs when it comes to my goals of being fit. My current lifelines are fitness groups on Facebook where we hold each other accountable and encourage each other in this wonderful transformation process!